Tim and Stephanie met whilst working together. Although they worked in different departments, Steph says they often found reasons to spend time together and formed a friendship which eventually developed into love – AW! It was on their 5th anniversary that Tim asked Steph to marry him – a question she of course said yes to. Tim and Steph married at Rose Bay Greek Orthodox Church in a traditional ceremony. Moving to L’Aqua Gold Room for the reception, Steph and Tim say they decided on a classic theme of whites and gold with vibrant flowers in reds, purples, pinks and whites. 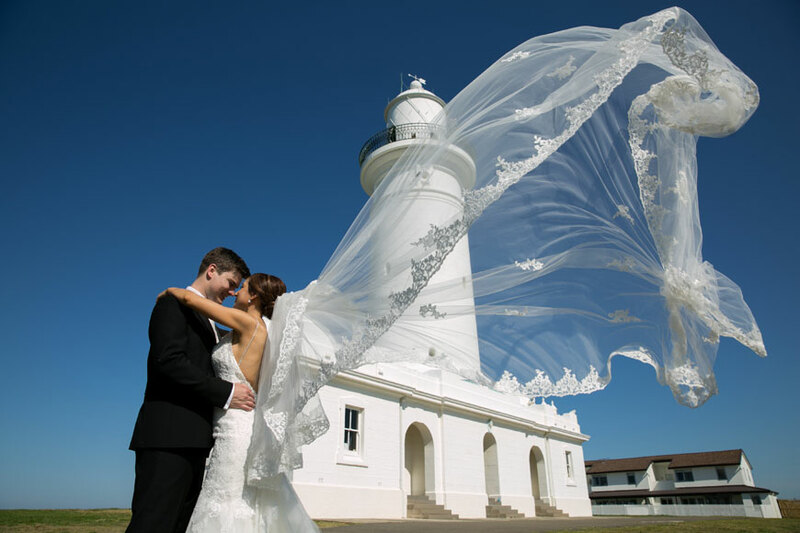 Steph stunned in a beautiful Pronovias mermaid dress and a three metre veil. In keeping with the gold and white theme, her bridesmaids wore sequined style long gowns in rose gold. Reflecting on their favourite part of the day, Steph and Tim say they were extremely happy with how everything turned out and wouldn’t change a thing!